It is the mission of The Uncle Bob Foundation to assist lower income families of Garfield County in the areas of housing, personal development, and economic self-sufficiency. This foundation will strive to accomplish these goals through the financial support and development of attainable housing within Garfield County, through the funding of programs designed to promote home ownership, and through the support of the Garfield County Housing Authority. The Uncle Bob Foundation, so named in honor of the Uncle Bob Mountain, a distinctive landmark located in Garfield County on the western slope of Colorado, is a non-profit entity formed in 1995 for the express purpose of assisting lower income families living in Garfield County. Because Garfield County is located in the heart of Colorado's ski and resort industry, families who live in the area are subjected to an extremely high cost of living, limited areas for the development of affordable housing stock, and the pervasive lifestyles of high income house-holds. Consequently, the problems and needs of lower income families, including those of housing and self-suffiency have become a priority of The Uncle Bob Foundation. Become stable, contributing members of their local communities. The Uncle Bob Foundation is committed to assisting low income families in Garfield County to reach their potential in the areas of housing opportunities and economic self-sufficiency. The Foundation believes strongly that the strength of families is the area's richest resource, and it is that the development and nurturing of this resource is vital to the future of Garfield County. 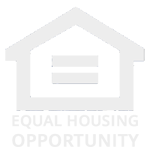 To seek funding from private and public sources for the purpose of providing financial assistance to lower income families for the purchase or rental of appropriate housing in Garfield County. To facilitate the development of housing that is both affordable and attainable for lower income families in Garfield County. To always conduct the business of the Foundation in an appropriate and accountable manner. To closely coordinate with those activities pursued by the Garfield County Housing Authority and other local existing programs and resources.